Digestive health is the foundation of our overall health and wellness. It can change over your lifespan, depending on how healthy our overall habits are, our genetics, and age. Digestive related issues can affect not only the gastrointestinal system, but also our musculoskeletal health, immune system health, and emotional health because digestive issues can affect nutritional supply to every part of our body. We promote a holistic approach for maintaining good digestive health and improve overall wellness. 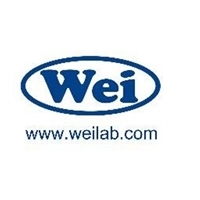 The Spring Patch is a topically applied product that warms up the lower jiao. It helps improve abdominal blood circulation. Appetite Enhancer helps strengthen the spleen. It promotes digestive tract contractions and increase appetite. Formula C nurtures Real Kidney Yin. It helps restore the integrity of connective tissue and reduces its inflammation. Pearl nurtures small intestine Qi. It helps improve blood flow to the small intestine and pancreas to enhance their function and repair structural damage. PA and/or Probiosis is also required to reduce inflammation and clear infections. Formula C is required to repair structure damage. Spring Capsule nurtures the stomach and middle jiao Yang and eliminates stomach coldness. It improves stomach blood supplies and contractions. SJ (Spring Juice) is required to improve the upper GI lining structure. Formula B is required to open the pyloric sphincter and improve intestinal contractions. Probiosis is also required if there is digestive tract inflammation or infections. PA removes heat and toxins from the pancreas, duodenum, and small intestine. It helps clear inflammation and infection in the pancreas, duodenum, and small intestine. Formula B nurtures the spleen and descends stomach Qi. It helps open the pyloric sphincter of the stomach and enhance intestinal muscle contractions. Formula D removes heat and toxins from the stomach. It helps clear inflammation and infection in the stomach. 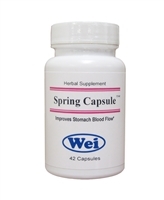 Spring Capsule, SJ (Spring Juice), and Formula B are also required to enhance the stomach blood supply, nurture stomach lining, and open up the pyloric sphincter. SJ nurtures stomach Yin. It helps repair stomach and esophageal lining structural damage and degeneration. Spring Capsule and Formula B are also required. Probiosis or PA is also required if there is digestive tract inflammation or infections. ZY nurtures Kidney Water. It helps enhance hormonal support. It also promotes body fluid production and helps improve the lubrication of the joints, back, and other organs.